For about 3 weeks, I talked my way through a unique and affordable travel experience, having access to another culture and language first-hand and truly living like a local. 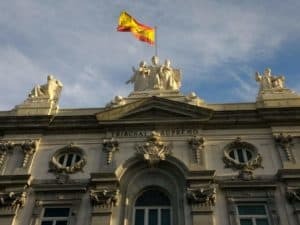 During those three weeks, I got acquainted with the Spanish legal system, Madrid’s hipster lifestyle, and the secret to making the best gazpacho. The experience also confirmed some beliefs about the best ways to save the places we love. How? Three words (or maybe just one): TalkTalkBnB. TalkTalkBnB is a free platform (unaffiliated with Airbnb or any other travel site) that allows residents to “learn languages at home while hosting native speakers” and allows travelers “free accommodation worldwide while practicing your language with locals.” I had stumbled upon the site in May, while looking for a change of pace from my living situation in Madrid and saving a bit for upcoming travels. Hosts and guests mutually agree on length of the stay and conditions such as provision of meals and the frequency and length of conversation practice. So despite the platform being free to use, it’s not quite free accommodation. Your time is the currency that pays for it. In my case, I could offer Spanish speakers some practice in English. “So it’s couchsurfing, but for language practice,” summarized a friend. Exactly. Having enjoyed the cross-cultural exchanges and friendships made over the years through couchsurfing, I decided to give TalkTalkBnB a try. For me, a huge part of the appeal was in getting to know locals and having a cultural exchange. It would be my final three weeks working in Madrid and a final impression of the city. The site works as a directory, listing profiles of people from around the world and giving proactive, independent travelers and language learners the information they need to make arrangements for staying or hosting. It is up to you, the traveler or host, to not only create your profile, but to search for and reach out to those you’d like to stay with or host. Profiles should have photos, basic information about the host or traveler, languages spoken (along with a self-assessment of proficiency), and travel or hosting details. For the experienced user of the site, one should also have references from others – guests or hosts – met through the site. References, however, were rare. Of all the hosts I contacted, only two had references. Although the site has been around since 2015, it’s still very much under the popular radar. Part of my TalkTalkBnb profile. As I searched the profiles of 138 Madrid hosts, I narrowed down my list of prospective hosts to about 11, based on the language they were most interested in learning, background, interests, possible length of stay, and proximity to public transit. Within a week of reaching out to the 11, I was pleasantly surprised to have two responses. I met with both sets of potential hosts (each a couple who were fairly fluent in English and with whom I felt comfortable). I began to think of them not just as potential hosts, but potential housemates—people who I would have daily interactions with and, I hoped, befriend. Using TalkTalkBnB as a housemate matching service rather than a formal guest/host arrangement helped make my experience a more relaxed and rewarding one. I could really get to know a place and its people, rather than just trading preset language-learning hours in exchange for a place to sleep while visiting typical tourist attractions. I planned on giving just as much of myself to the people I’d stay with as they gave to me. Three weeks after creating my TalkTalkBnB profile, my search was over. My new housemates? Sara and Fernando (or Fer), a husband and wife lawyer couple and their Jack Russell/Bodequero terrier, Lola. Although they hadn’t hosted before and lacked references, I immediately felt at ease during our first meeting. In true Spanish fashion, we stopped by a couple of different bars, lingering at each to enjoy good food and good conversation. At our second stop, a Basque bar and eatery, Sara and Fer introduced me to the guindilla pepper and to gilda, a pintxo (a Basque-type tapa) made with olives, guindillas, anchovies, and miniature pickles. It was to be my first in a series of lessons about Spanish culture. By the end of the evening, we had agreed that I would be their first TalkTalkBnB housemate for three weeks in June. Move-in day included a welcome meal (homemade burgers and some wine from Gailicia) and an invitation to a poetry reading, courtesy of Sara and Fer. Throughout my stay, I got to enjoy home cooking and plenty of good conversation. From music to politics, food to family life, the legal world and Spanish slang, we conversed in English over numerous lunches and dinners and whenever each of our busy schedules allowed. And because the arrangement was more housemate-style than guest-host, cultural exchange came about more naturally. Not only did my new housemates offer to cook (showing me, for example, how a particular spice smoothed out gazpacho), I did as well, introducing them to Korean food, American banana bread, and other foods less familiar to the Spanish palate. And without any pressure to spend a set amount of time with each other, conversations never felt forced. Sara and Fer being introduced to Korean food by the author. 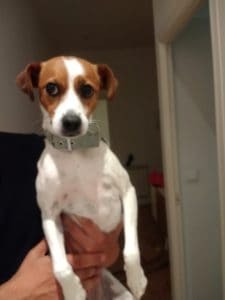 My accommodations included a private bedroom and bathroom and access to the common spaces of a beautiful apartment at the confluence of two desirable neighborhoods, hipster Malasana and the gayborhood of Chueca. Having reached near peak gentrification, these neighborhoods were stuffed with quirky bars (serving everything from mezcal to vermouth), cool cafes with cold brew, restaurants ranging from Asian street food to traditional Spanish, markets with rooftop bars, artsy boutiques, and vintage stores. When I wasn’t exploring these neighborhoods or talking with my laid back, kind, and flexible housemates, I could afford to take short trips around Spain. Weekend visit to Peñas de Riglos in Huesca, Spain. As a traveler staying with locals, I learned about lesser known events and places. For example, Sara and Fer would tell me about different music festivals in Spain, ones in cities less popular and touristy than Barcelona, Madrid, and Seville. In turn, I would tell them about places that I’d come across in my travels around Spain. 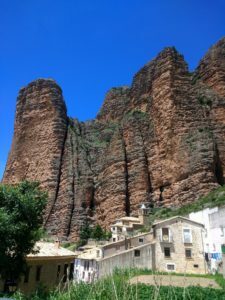 During one weekend, for instance, I traveled to Peñas de Riglos in the northeastern province of Huesca, a mecca for hikers, climbers, and white water rafters. As my housemates had never been there, I was happy to share tips and photos with them for their future visit. In that way, TalkTalkBnB works well for local economies. For rural communities that are tourism-dependent, like Peñas de Riglos, this word of mouth advertising provides a boost for businesses and events off the radar for many out-of-town visitors, whether for a coffee shop or a local festival. And it allows locals a chance to find out what’s beyond their towns by hearing tales from their new-found traveler-friends. Even farmers can benefit. While tourism often involves frequenting local eateries, it can also involve home cooking, which means shopping at local grocers, who in turn support local farmers. For example, as someone who likes to cook, I often seek out local markets to get fresh and harder-to-find ingredients. The closest (and one of the best, I thought) was an indoor farmers market called Mercado Barcelo, where I found high quality local ingredients at a fraction of the price of supertouristy markets such as Mercado San Miguel in central Madrid. 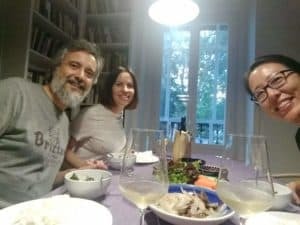 Sites like TalkTalkBnB help distribute tourists (and their spending) to different parts of a city, supporting not just the popular places, but the lesser known ones.. By staying with Sara and Fer, for even three short weeks, I developed a new appreciation for the city and a deeper appreciation for Spain. For its small towns, its neighborhoods, its markets, and its food. For its customs, its music, its radio programs, and even its politics. And by developing this appreciation, these authentic, non-commercial, and localized travel experiences and exchanges make not just the traveler, but the destination, better. This entry was posted in Geotourism, Geotravelers, Resources and tagged accommodation, Eugene Kim, geotourism, language, Spain by Eugene Kim. Bookmark the permalink.